Pinterest is a great resource for many things and comes especially handy when looking for inspiration for new and amazing pastry recipes. The appealing pictures of delicious cupcakes or magnificent decorations inspire ordinary people like you and me to try it on our own. 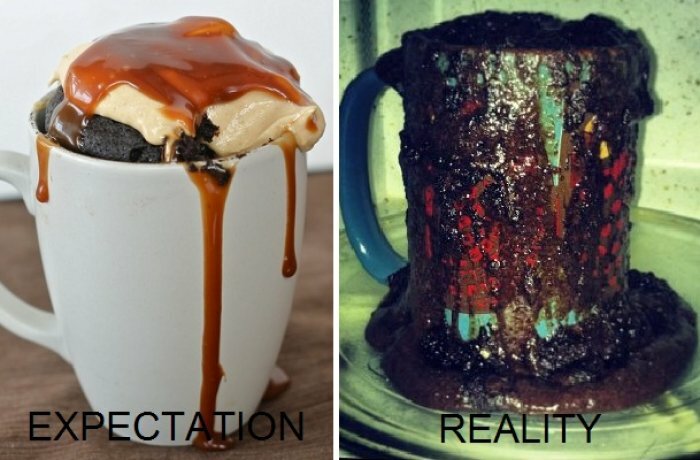 But no matter how handy we are, how good our food tastes - we just never seem to be able to produce the same results as shown in the pictures. This would be a hit on kids birthday parties everywhere - no question about that. However, this failed version would probably jerk some tears instead of celebration. My best guess is that the person who worked on this didn't wait long enough for the other layers to cool down before adding more colors. 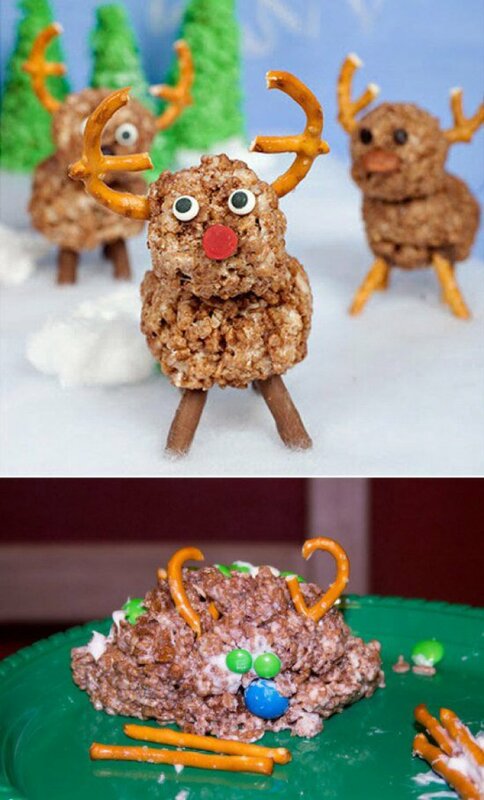 Ok, these have the be one of the cutest edibles ever. The replication didn't work that well :D Perhaps, add the legs after the body is finished baking! 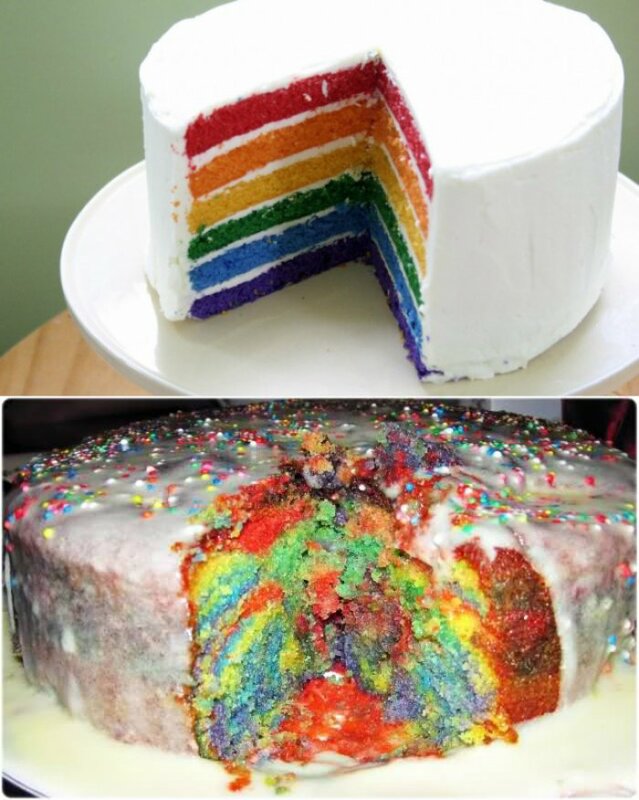 One of the most tried and failed cakes of all time seems to be the rainbow cake. 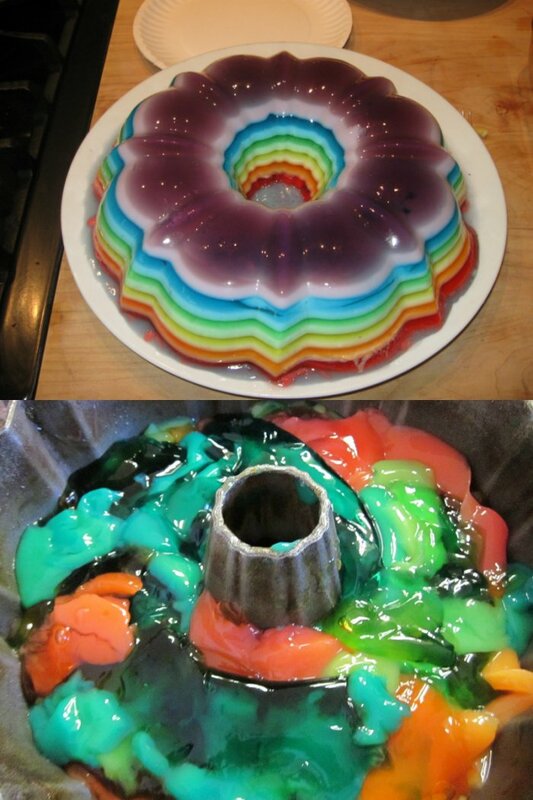 You can find countless of failed versions of this particular cake on pinterest. These decorative Balloons are supposedly easy to make together with your kids. Looking at the result of this pinner, I'm not sure if its really that easy. Almost nailed it, almost. 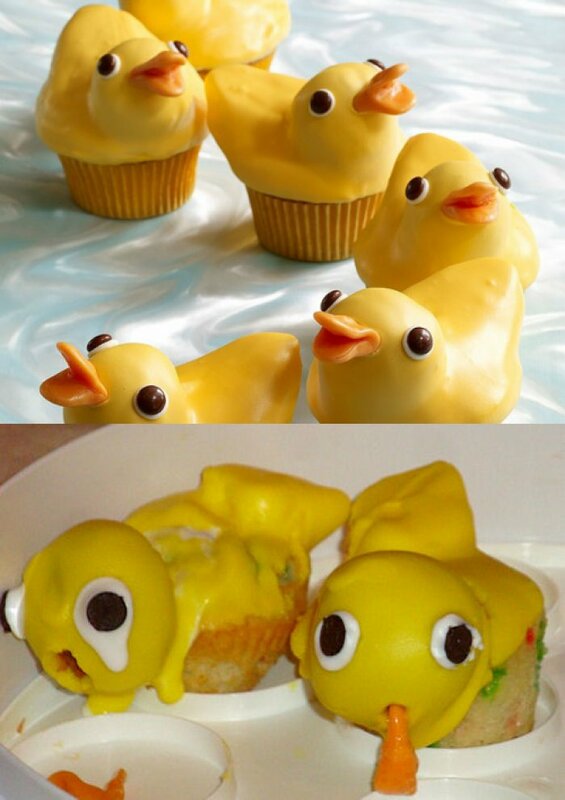 You can bet this was a serious attempt to replicate those amazing cupcakes on top. At the end of the day though, a hilarious FAIL. 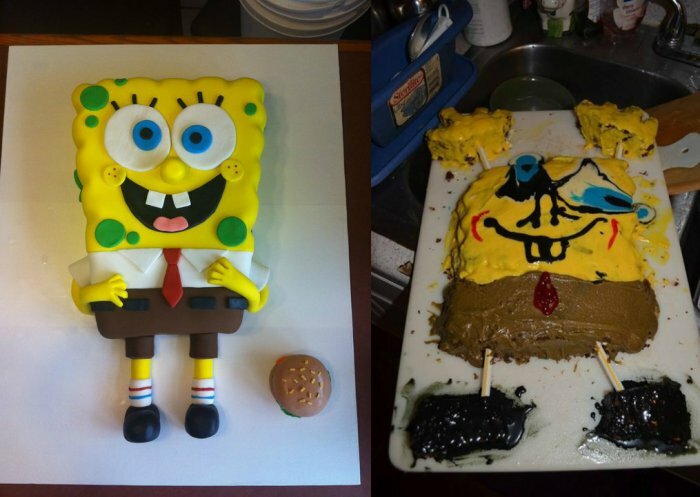 #7 - Who lives in a pineapple under the sea? Someone should have told this person that the colorful cover is added after the actual cake has finished baking! I guess this was a pretty depressing kids birthday.